Walt Disney built his theme parks for families to have a great time together. Disney World in Orlando, Florida is the ultimate Disney experience, but if you live on the west coast, Disneyland, California may suffice. 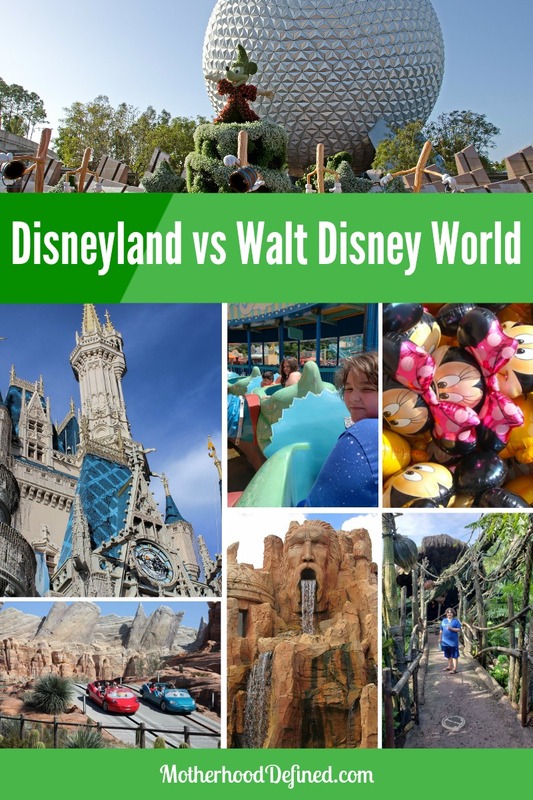 It’s important that you compare the two parks, Disneyland vs Disney World, to see which one is best for your group or family. When Walt started work on Disneyland, he only purchased as much land as he thought he would need. That park grew so quickly though that he found himself spending even more money to acquire the surrounding properties. To avoid that mistake in Florida, he purchased much more land. Disney World is larger in size, which means that you’ll find more attractions and things to do. One reason why Disney World is so popular is that it consists of so many different parks. The Magic Kingdom is home to Cinderella’s Castle and the nightly fireworks shows. Hollywood Studios is a park that lets you see the magic behind your favorite films and television shows, while Animal Kingdom lets you get up close to wild animals. Orlando is also home to EPCOT. You’ll find fewer theme parks in and around Disneyland. Another way to decide which park is best for you is with a look at some of the rides and attractions available. Though both parks have Splash Mountain and Pirates of the Caribbean, those at Disneyland are slightly longer than the ones at Disney World. Disney World is home to some rides that you won’t find at Disneyland though, including Test Track and Spaceship Earth. You may want to jot down a list of the rides you want to experience and see which park has them all. All Disney parks have a Fast Pass system that lets you reserve a spot in line. You can pick up your tickets ahead of time and come back later to jump the queue. Disney World has a Magic Band system that lets wear a band on your wrist. You can add money to the band and pay in shops and restaurants with a swipe of your hand. The Magic Band can also keep track of your reservations and hotel room information. Disneyland uses a Key to the Magic Card instead. While it holds the same data, it’s easier to lose. Both parks have ample accommodation choices, but Disney World in Orlando has more Disney owned resorts for you to choose from. You can stay at Disney resorts cheaper by buying or renting Disney Vacation Club resale points online. These are points that can be used towards hotel stays at Disney resorts. If you choose to buy DVC and later find that you no longer wish to be an owner, sell DVC points online for extra cash. The Toy Story franchise ranks among the most popular Disney films of all time. If you and your kids love those flicks, you’ll want to choose Disney World over Disneyland. This park introduced Toy Story Land in 2018. Located in Hollywood Studios, it’s an area of the park that features live shows and rides based on the films. Though Disneyland does not have space for a similar attraction, it does have a few more options for fans of the Frozen franchise. Before planning a Disney vacation with your family or friends, you should give some serious thought to which park is right for you. Many guests find that they prefer the rides and attractions at Disney World over those available at Disneyland.